Cycling doesn’t mean sacrificing style for comfort. Why compromise? 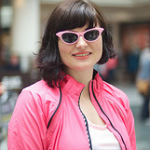 Bike Fabulous brings together clothes and accessories designed with cycling in mind, as well as everyday wear perfect for riding your bike and looking great. Love Your Bike would like to cordially invited you to a Bike Fabulous Christmas shopping soirée at Keep Pedalling in the Northern Quarter, on Thursday 13th December. 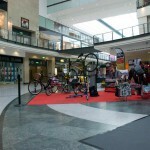 Shoppers in Manchester Arndale on Saturday 23rd June were treated to the third Bike Fabulous cycle style event, promoting cool cycling with the motto ‘cycle wear, cycle everywhere’. 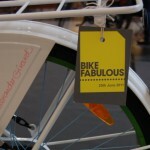 Saturday 25th June saw the second of our cycle style events in Manchester Arndale under the Bike Fabulous banner.